North American leaders have recently announced initiatives on climate change, clean energy, the environment, and migration. But lacking from these discussions is a much-needed focus on the shared water resources that bind these countries. The Paso del Norte is a boundary region between the USA and Mexico where cooperation and joint action are needed to secure reliable and sustainable shared water resources. The Paso del Norte (PdN) emblematizes an important regional focus of attention. It is located right at the midpoint of the USA-Mexico border and the Rio Grande/Bravo basin. The region extends approximately 550 km along the Rio Grande from Elephant Butte Reservoir in southern New Mexico to the confluence of the Rio Conchos in Presidio County, Texas. With a population of 2.5 million, the Paso del Norte constitutes one of the largest international cross-border regions in the world and the largest boundary metropolitan area between three states (New Mexico, Texas and Chihuahua), and two countries (the USA and Mexico). 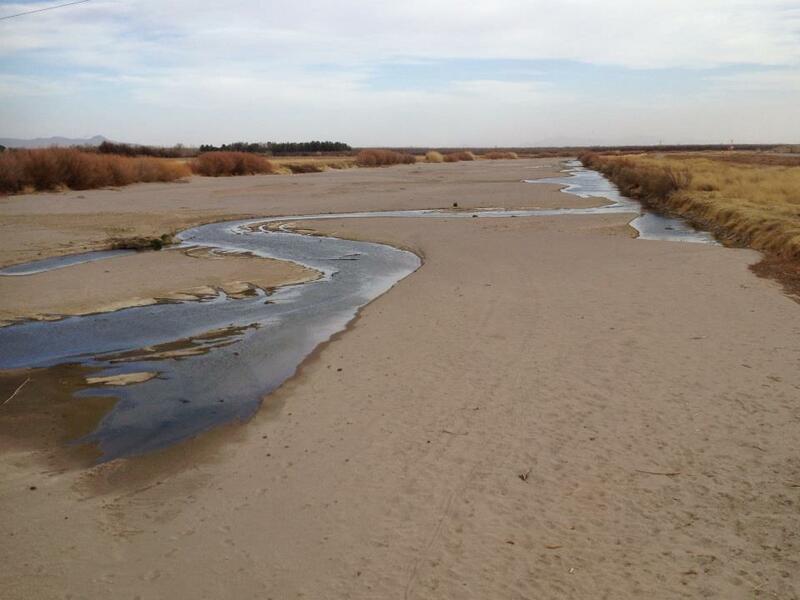 Water is scarce in the channelized Paso del Norte. 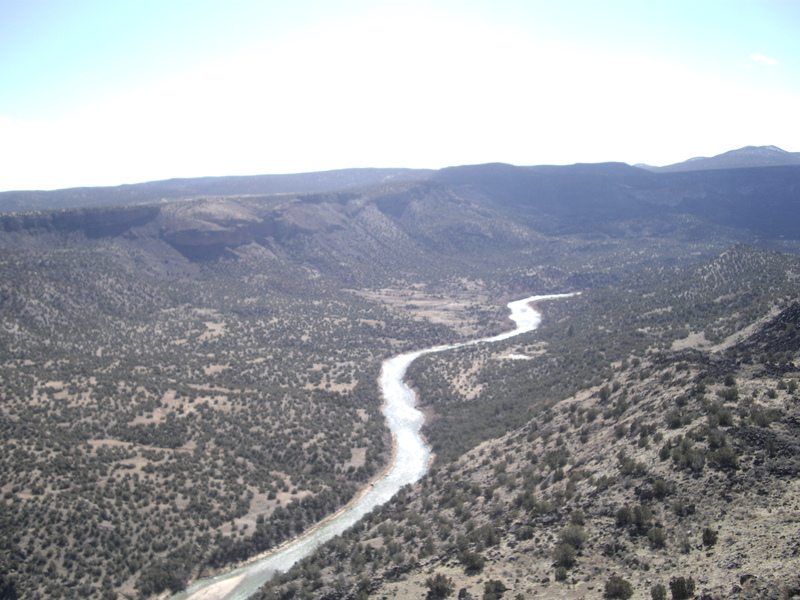 The Paso del Norte is one of the most irrigation intensive and environmentally damaged regions in the Rio Grande Basin. With an average rainfall of only about 150mm and increasing evaporation rates, crops such as maize, alfalfa, pecans, chili, and cotton are growing in this semi-arid region. Water competition is intensifying due to constant agricultural water use and growing urban water demands. Climate change is expected to reduce water availability, affect the quality of aquatic environments, and accentuate sustained drought and water scarcity. Water scarcity will greatly worsen in the Paso del Norte region if current water policies and regulations persist and climate projections prove correct. Without new international cooperation, cross-border regions like the Paso del Norte, which includes the major cities of Las Cruces, El Paso, and Ciudad Juarez, will face a water resource crisis, as climate change and population growth place greater pressure on an already precarious system. This is why laws and regulations governing water in the Paso del Norte need to be adapted to this reality. If we want to prevent a water crisis in this binational region, we should start working together to build institutional resilience by means of enabling regional openness and flexibility of the existing ensemble of rules and policy processes. Creating resilient water institutions in the Paso del Norte region will help the design of an ad-hoc regional basin management approach, featuring increased dialogue and coordination among all relevant parties aiming to secure water in the region. A coordinated and sustained binational effort – from the states and non-state actors- is of paramount importance to find solutions to shared problems and adapt the way water resources are being managed across the border. The Paso del Norte Task Force, created in 1998, represents the most appropriate regional water stakeholder group with a high potential to advance sustainable water management in the region—but it needs to be revitalized. A new injection of funds could prevent this group from falling silent. . Through a collaborative effort, the Paso del Norte Task Force is in the best position to make the most effective use of the existing technical capacities and water infrastructures to adapt the management of water in the region. 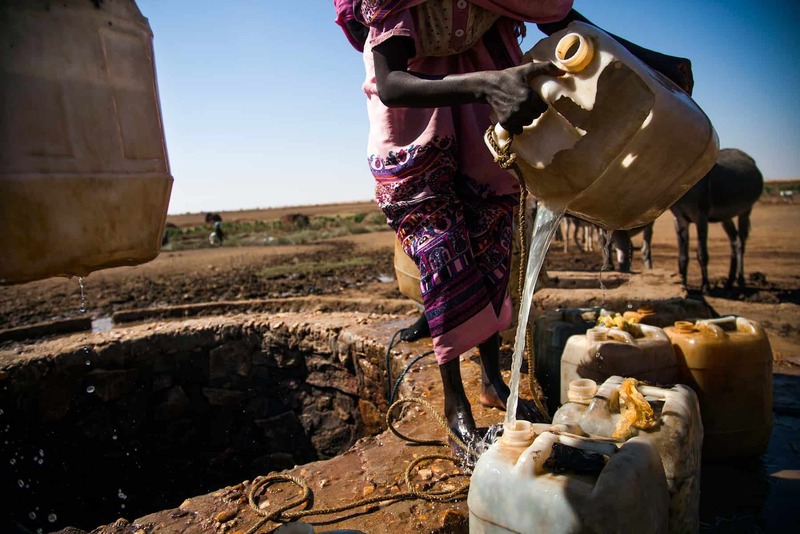 Its reactivation is essential to prepare an ad hoc water management plan for the region, and better respond to the challenge of securing adequate water supplies. Nava, L.F.; Brown, C.; Demeter, K.; Lasserre, F.; Milanés-Murcia, M.; Mumme, S.; Sandoval-Solis, S. 2016. Existing Opportunities to Adapt the Rio Grande/Bravo Basin Water Resources Allocation Framework. Water, 8, 291. US Bureau of Reclamation. SECURE Water Act Section 9503(c) — Reclamation Climate Change and Water 2016. Available online: http://www.usbr.gov/climate/secure/ (Accessed on August 21, 2016). Boyd, E. 2012. “Adapting to global climate change: evaluating resilience in two networked public institutions”, Adapting Institutions: Governance, Complexity and Social–Ecological Resilience, ed. Emily Boyd and Carl Folke. 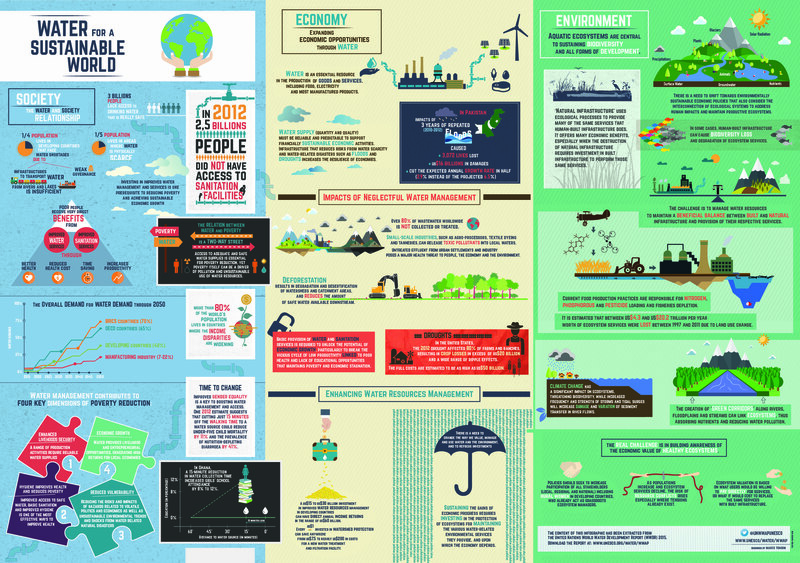 Published by Cambridge University Press, 244 – 263 p.
Scenario analysis, a process for comparing alternative futures, has been a fundamental tool in sustainability and systems research, but less prominent in the water field. Recently, researchers at IIASA have been applying scenario analysis to their modelling capabilities to tackle global water issues. Last week, a high level group of water experts met at IIASA for the Water Futures and Solutions (WFaS) Stakeholder Focus Group. WFaS is a flagship initiative from IIASA challenged with understanding future water resource issues, and identifying solutions to problems like water scarcity and water access. However, when a recent fast track assessment found that even its most sustainable scenario, would still result in water scarcity in some river basins due to growing demands, researchers realized that fresh thinking was required. So in last week’s meeting, IIASA water researchers were on the search for more sustainable and transformational solutions. The efficacy of these new sustainability scenarios will be tested in IIASA’s new ensemble of global hydrological models and presented in time for the next World Water Forum 2018. 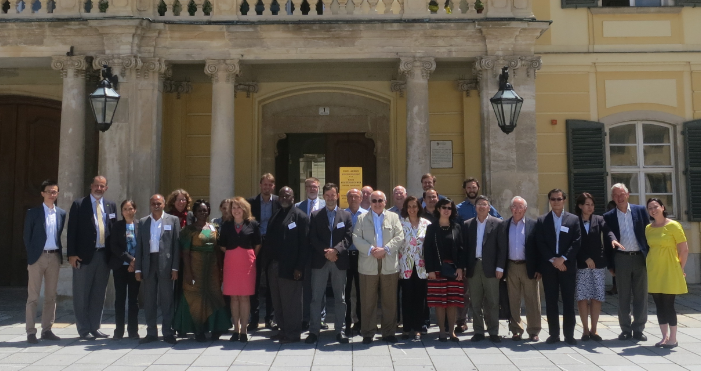 The two-day workshop at IIASA hosted 20 international water experts from around the world and across research, government, and development organisations. Modellers from the IIASA water program, myself included, took part in the focus groups with the experts, discussing how to represent in our models complex interactions that occur in transboundary river basins as well as for key interactions with other sectors such as energy and agriculture. 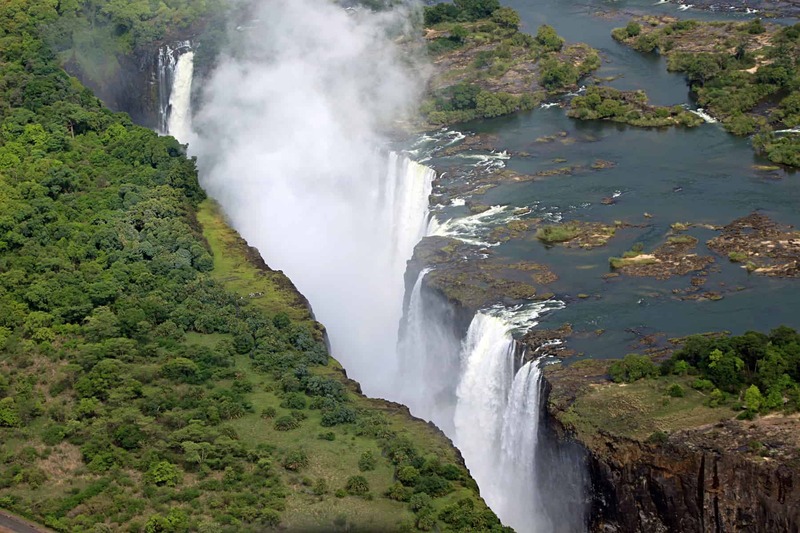 Our discussions on the Zambezi, the Indus, and the Yellow river basins will contribute to broader understanding of the development challenges in three different parts of the world –not just along the rivers, but throughout the entirety of the river basins and the populations and ecosystems that they support. 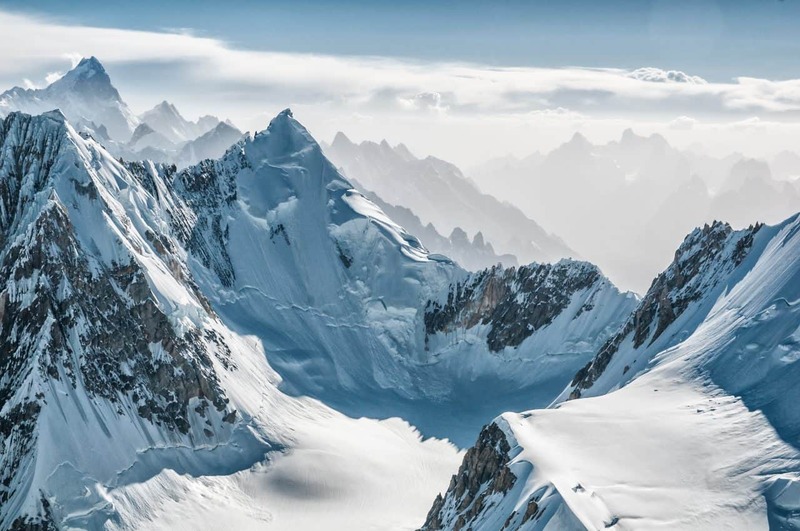 For example, the Indus basin is extremely water scarce and is expected to be further depleted due to melting of the upstream glaciers. In the Zambezi basin, in contrast, water is abundant, but there are significant political and economic challenges to sustainably providing access to a population of 38 million people that is expected to double within one generation. Similarly, our sectoral discussions on energy, food, economics, and ecosystems will improve our model representations of sectors that may be substantially different by 2050, such as the energy sector. This is particularly important for demonstrating how the benefits of water security unlock other benefits for development challenges, such as health, food security, gender equality, and education. Identifying, quantifying and communicating these well-recognized, inter-dependent benefits can be key to unlocking the investment in solutions. Our work with the experts focused primarily on Sustainable Development Goal 6, the Clean Water and Sanitation Access goal, with a view to identifying co-benefits for other goals. Having received much useful information and positive feedback from our stakeholders, the challenge now is to integrate this into our models and scenario narratives, so that we can demonstrate on a global scale the benefits of water security not as a development target to be attained, but as one of the fundamental drivers of sustainable development. With growing populations and intensifying impacts of climate change, challenges for water security will continue long beyond the Sustainable Development Goals for 2030. Meeting these targets is just the first step of the pathway to long-term water security. The Water Futures and Solutions Initiative (WFaS) was launched by IIASA, UNESCO/UN-Water, the World Water Council (WWC), the International Water Association (IWA), and the Ministry of Land, Infrastructure and Transport (MOLIT) of the Republic of Korea, and has been supported by the government of Norway, the Asian Development Bank, and the Austrian Development agency. More than 35 organizations contribute to the scientific project team, and an additional 25 organizations are represented in stakeholder groups. This year’s theme of the UN World Water Day is “Water and Jobs.” It focuses on how adequate water management can change workers’ lives. Indeed, water management and job creation are tightly linked. 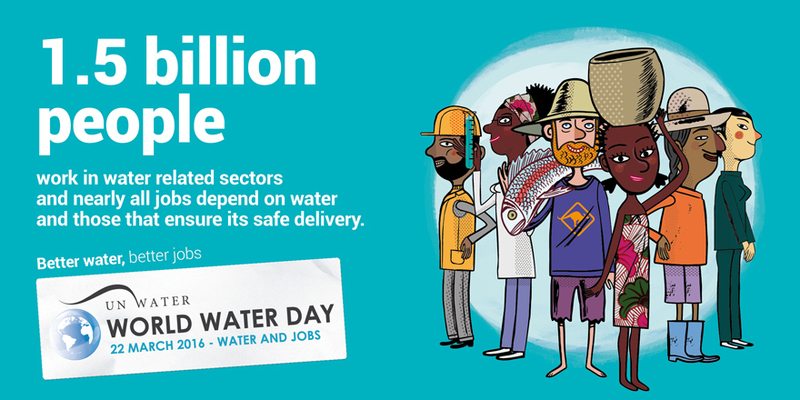 Nearly all jobs depend on water, and without reliable and safe access to water, neither small activities nor major global industries can endure. Similarly, labor is necessary to build, maintain, operate, and manage the water system, and to run water-based projects. Furthermore, job creation can be a thirsty business in both developing and developed countries. In many developing countries irrigation projects, requiring significant amounts of water, are considered the main engine for the economy and source of employment. In developed countries, less water is needed but it still requires sufficient quality for manufacturing and service projects creating job opportunities. Freshwater bodies such as rivers and aquifers supply the water that people and businesses rely on. But pressures on these bodies have been mounting worldwide during the last century. Population and economic growth have led to greater water use and increased pollution, with many basins around the world undergoing pervasive water shortages and quality degradation. Researchers expect the impacts of climate change to exacerbate these damages. At the same time, the global economy needs to continue growing to be able to adequately sustain the world’s rising population. However, the linkage between water and economic growth has increased global concerns about the impacts of water-related risks such as scarcity, droughts, floods, and pollution on economies’ ability to grow and create jobs. In fact, the World Economic Forum’s 2016 Global Risks Report ranks water as the highest global risk on economies over the next ten years. When we talk about water and jobs, it is also important to mention that nearly 750 million people lack access to safe water and 2.5 billion live without adequate sanitation across the developing countries. People in these countries are constantly searching for water, which leaves limited time for productive work and skills building that yield better employment. As we look towards the future, the link between water and employment becomes even more crucial. Water-related risks, which are expected to intensify due to climate change, will likely have adverse impacts on economy and employment, leading to major consequences beyond the water industry. For instance, researchers have linked the extreme drought in Syria between 2007 and 2010 to the uprising that began there in 2011. 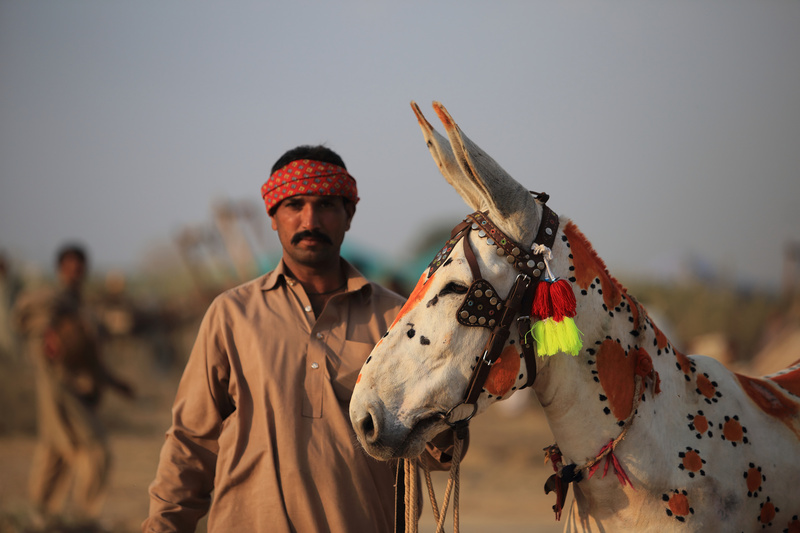 Several years of drought caused an extensive crop failure and massive losses of livestock, which resulted in 2 to 3 million people driven into unemployment and poverty. This situation contributed to a mass rural exodus into economically depressed cities, deepening existing instability in that country. How do we avoid more crises like this? The complex and evolving water challenges of the future can only be addressed by investing in sustainable and integrated water management solutions such as those being identified and tested by the Water Futures and Solutions (WFaS) initiative at IIASA . WFaS is a cross-sector, collaborative, global initiative aimed at developing plausible scenarios of future water supply and demand, and identifying robust and no-regret portfolio of solutions for balancing water systems. The initiative brings together researchers and decision makers from governmental and non-governmental organizations as well as from the private industry and from a wide variety of sectors influencing water management. The potential water solutions include improved water policies and governance structures and the adoption of more innovative and environmentally friendly water technologies. Sustainable water resource management does not only address water-related risks, but it can also create green job opportunities for local and disadvantaged communities, for example in efficiency improvement works, in the production of alternative water sources, and in aquatic ecosystem restoration projects. How do you operationalize the water-energy nexus? Sunday March 22 2015, was World Water Day. I woke up on that beautiful spring morning in Vienna to the rising sunshine through a slit in the curtains and the lovely humming of birds returning from their winter hideouts some thousands of kilometers away. It was clear to me: winter has ended and spring is here. 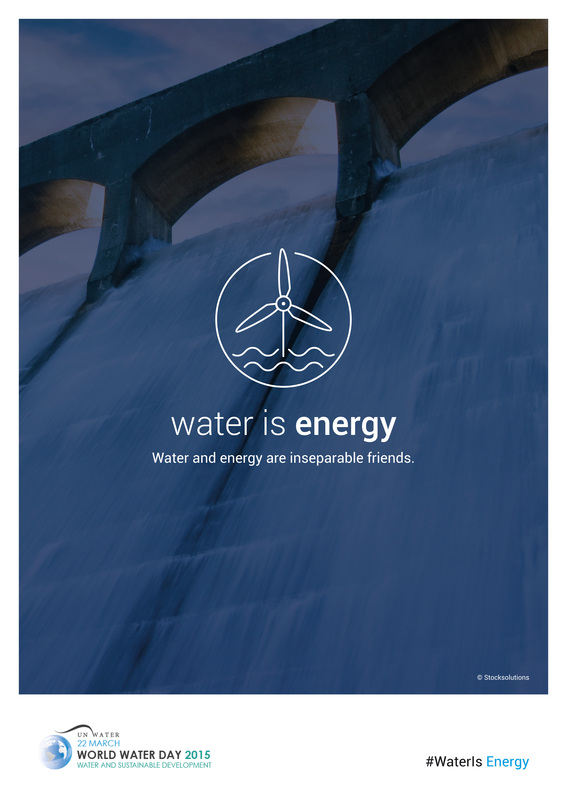 But there was another thing on my mind that beautiful Sunday morning: the theme of 2014 World Water Day, the water-energy nexus. How can anyone operationalize this concept? The nexus refers to the notion that global systems are strongly intertwined and heavily interdependent; that systems thinking and planning is required to address persistent global challenges in an integrated way. It is a beautiful concept, no doubt, but what do we do with it? I joked in my travels and engagements on nexus issues last year that 2014 in my view was the most nexus year. Much has been achieved in 2014: raising awareness of the linkages between water and energy ; demonstrating that integrated approaches and solutions to water-energy issues can achieve greater economic and social impacts; identifying policy formulation and capacity development issues through which the international development community, in particular the UN system can contribute; and identifying key stakeholders and actively engaging them in the discussion on the post-2015 development agenda. Supporting nexus assessment to understand the interactions between various nexus dimensions as countries review and roll out new policies. The objective will be to inspect the performance of current policies in terms of resource use efficiency and productivity in order to facilitate the technical interventions that will be required. Strengthening consultations and engagement among relevant sectors for various nexus dimensions. This will help decision makers anticipate, plan, and manage interventions collectively and to re-think policies and strategies to deal effectively with a range of complex interactions that are interlinked and interdependent. Reinforcing the enabling environment to facilitate the transitions that are required. This will require action to support key institutions, policy transitions and facilitating public/private funding mechanisms and investment frameworks that are required for nexus interventions. How do we do this? First, we need to understand the interactions for a given unit of management. It could a country, a river basin, a municipality, a region or sub-region. Then we need to get various spheres of interest engaged in constructive dialogue, both in planning and in resource allocation and utilization. And probably even more importantly we need to provide the institutional, financial, and human capacity requirements to turn ideas into actions. The challenges are huge in some regions but progress can be achieved with significant multiple gains if we get the assessments right, if we can get key sector actors to continuously talk to each other, and if are able to strengthen the enabling environment to facilitate actions. We need to act before the interest we have generated in the last couple of years diminishes. 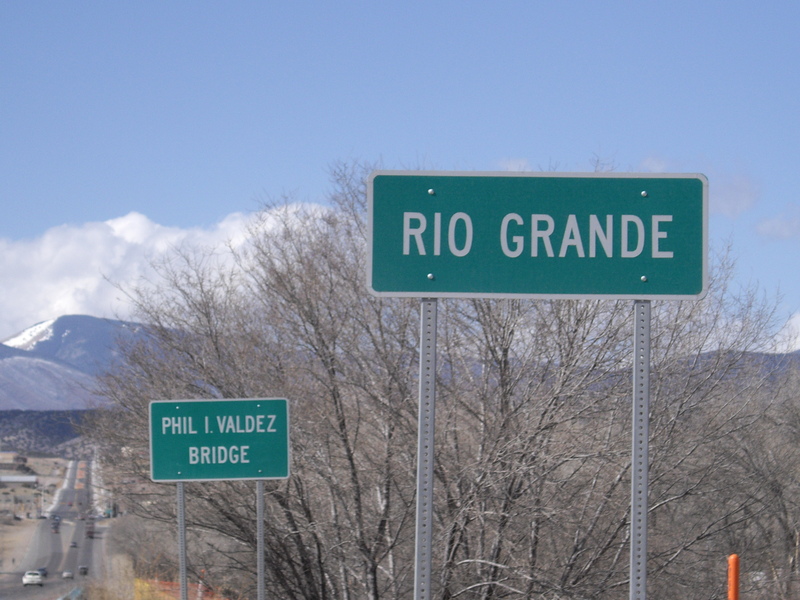 The Rio Grande/Rio Bravo River has been considered the most endangered river in North America and one of the most endangered rivers globally for a long time. Problems include drought and water scarcity, the degradation of water quality, loss of river habitats, and over-exploitation of groundwater. The water allocation regime between the US and Mexico is over a hundred years old and not adequate any longer. It consists mainly of allocating transboundary watercourses and facing environmental issues within a fragmented structure. The challenge of my research is the design of policy directions to adapt water management mechanisms and foster stakeholder involvement across the river basin. Focusing on stakeholder views, I examine their competing perspectives and interests on water management and environmental protection. Water managers at the state and federal levels, researchers and practitioners, and environmentalists suggest an alternative approach to reverse environmental degradation and preserve water resources. The Rio Grande/Rio Bravo River is a magical desert river. The river flows through primarily arid environments which, over time, have been appropriated for diverting water and meeting water needs and hydraulically developed. Some people argue that developing the desert and making it habitable and productive has accentuated the fragility of the river environment resulting in ecosystem degradation and diminished quality of life. Also, because of intensive dam-building, the river has been fragmented into sub-basins dividing the water management process and increasing the lack of coordination between agencies across the basin. River fragmentation is highly correlated with poor water quality and loss of biodiversity. Some stakeholders, such as state water management agencies and researchers, suggest that the biggest environmental threats are the longer periods of drought and the overuse of groundwater, but others, such as some environmental NGO’s and state agencies (mainly in the New Mexico Lower Rio Grande) denounce citizens‘ lack of motivation and say that greater public awareness is needed. Poor participatory citizenship in the water resources decision-making process reflects the disconnection between the river and the citizens’ perceptions. Citizens do not perceive that there is a water-environmental problem since they are accustomed to seeing a dry river, yet when they turn on the tap in their houses, there is always water available. In my interviews, some people described the Rio Grande as a vagabond, an old man; as an outsider, a homeless, as the poorest river. For these stakeholders, the biggest challenge to reverse the current environmental degradation would be to provide education in water and environmental issues in order to build broad citizen awareness across the basin. I personally think that fostering public awareness, in this fragmented area, could have a genuinely important multiplying effect to solve environmental-water related problems across the river basin. Nava, Luzma Fabiola and Samuel Sandoval-Solis. 2014. 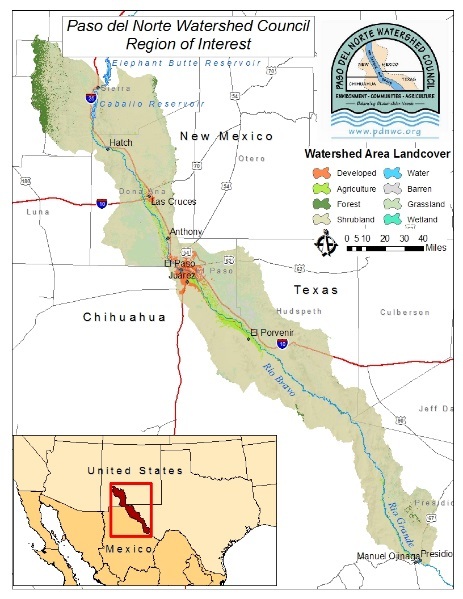 Multi-Tiered Governance of the Rio Grande/Bravo Basin: The Fragmented Water Resources Management Model of the United States and Mexico, International Journal of Water Governance, IJWG, Vol. 2., No. 1, Baltzer Science Publishers, DOI: 10.7564/13-IJWG23.